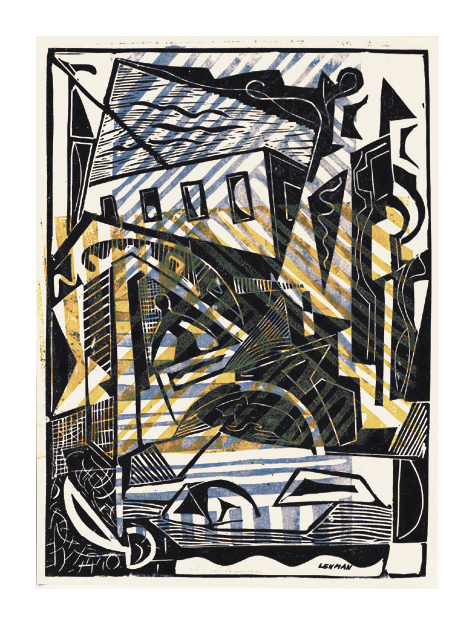 Urban Abstraction - - c. 1935, Color Woodcut. 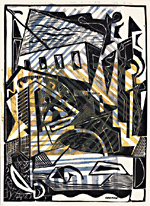 Edition c. 10. Signed and titled in pencil. Image size 14 x 10 1/8 inches (355 x 257 mm); sheet size 14 9/16 x 10 5/8 inches (369 x 270 mm). A fine, fresh impression, with margins (1/4 to 3/8 inch), on cream wove paper, in excellent condition. 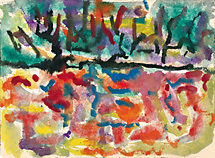 Untitled (Woodland Reflection) - - c. 1955, Watercolor. Unsigned. With the estate stamp verso: Original Artwork By: IRVING G. LEHMAN Russian/American 1900-1982. 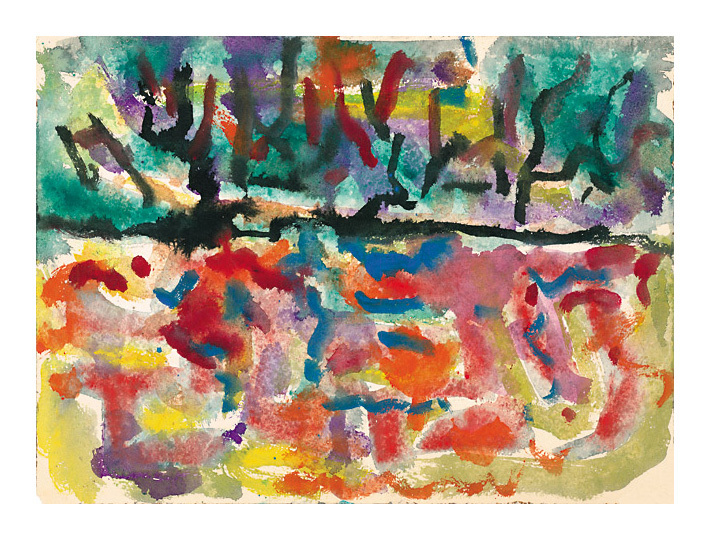 Image size 14 3/4 x 19 7/8 inches (375 x 505 mm). A rich, painterly rendering, with fresh colors, on heavy cream wove watercolor paper, with the image extending to the sheet edges; minor loss to the bottom left sheet corner, the original tack holes in the top sheet corners; in overall excellent condition.